Academic support for students is imperative for engagement with course material and effective learning. It should never be assumed that students know how to access academic information, who to ask for help, where to go for advice, or how to navigate technologies. When developing your course, consider the embedding of the following supports to assist students in achieving a quality learning experience. It is important to embed this information as part of your course design and development, regardless of delivery mode, to give students the maximum opportunity to succeed – not just as a service to direct them to if they are struggling. Ensure students are aware of who the course coordinator is, and any other staff involved with teaching the course. This is particularly important for online courses where face-to-face introductions are not available. Students need to visualise who their tutors are either through images or a short introductory video, and have clear instructions on when and how they can contact tutors for questions and support. Refer to the BOLD Learning and Teaching Practices: Focus Area 01 for a list of minimum course expectations. It should be assumed that because students have gained entry to a tertiary course, that they have the skills to research academic databases, or write an academic paper. Students will come from a variety of education backgrounds and experiences, and therefore have a variety of literacy levels. If you have identified a student in your course who is struggling with academic literacy or specific academic skills, you can refer them directly to a Learning Skills Adviser (LSA) for individual support. Any other programs or technologies utilised by students as part of accessing content or submitting assessment tasks. Refer to the BOLD Learning and Teaching Practices: Focus Area 04 for a list of minimum course expectations. Language shock – Language challenges should not be mistaken for intellectual challenges. Academic shock – Academic challenges should not be mistaken for disregard for academic conventions. There are a number of small accommodations teachers can undertake to support international students succeed in their studies. 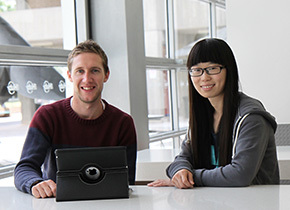 For ideas on how to best support your international student academic needs, contact a Learning Skills Advisor.